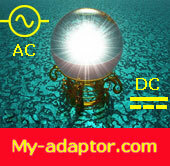 How to choose correct 19V 4.74A ac adapter? Choose 19V 4.74A ac adapter by brand you like. Genuine APD NB-90B19 19V 4.74A 90W Asian Power Devices Inc.